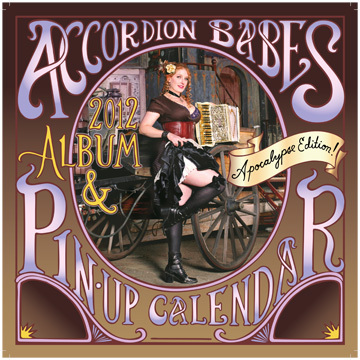 Home News The 2012 Accordion Babes Calendar & Album is available! Enjoy 13 images of accordions and their lovely owners PLUS a CD with a track from each of the babes. 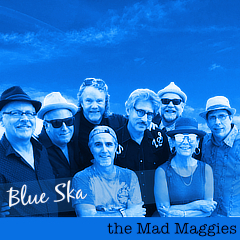 Mags strikes a roguish pose as Ms. November and “Shake Those Bones” is the track. Good gift idea for music lover, pin-up lover, accordionistas! accordion babes, gift idea, pin-up, Shake Those Bones.